Shawn Colfax (Nicholas D'Agosto) and Nick Brady (Eric Christian Olsen), the stars of the Gerald R. Ford High School football team, are dreading the prospect of another summer at football camp. After Nick hatches a scheme for the two to join their schools cheerleaders at cheer camp instead, they find themselves awash in a sea of gorgeous young women. 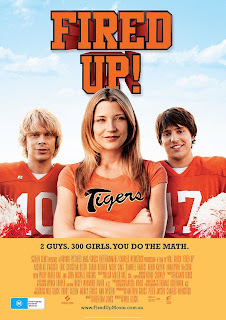 The guys are having the time of their lives until Shawn falls for Carly (Sarah Roemer), the beautiful head cheerleader who is very suspicious of their motives. To win Carly over, the boys must come up with some surprising new moves to prove Shawns intentions before the all-important cheer competition finals.